Columnist Joe Battista raved about his experience with Leadership Flight School in State College. Photo provided. Back in early December I had this text message exchange with a friend. Friend: "Let's grab lunch this week." Me: "Would love to but I am attending the Bartell & Bartell Leadership Flight School all week. Friend: "Oh wow, so you are learning how to fly?" Me: "Um, no, not exactly. I am attending a really cool leadership training program called Leadership Flight School. Friend: "Well why do they call it Flight School? Why don't they call it boot camp?" Me: "Perhaps it's because Boot Camp has a negative connotation. We are here to soar!" 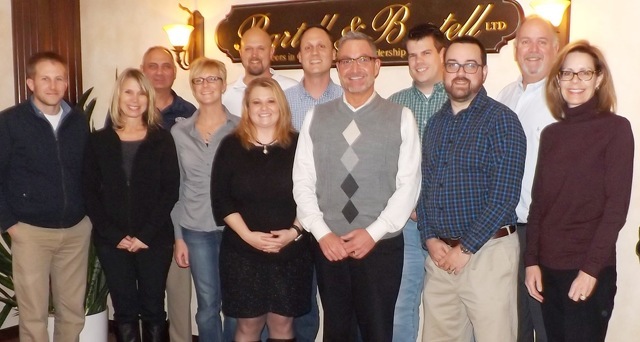 Bartell & Bartell's Leadership Flight School (LFS) was a terrific experience, with four days of actively learning and challenging the conventional wisdom about leadership. Their core philosophy is based on “servant leadership” and improving the way in which we look at ourselves as leaders and how to better communicate with those around us. I have always been fascinated by the broad topic of leadership and group dynamics. Whether it was as a member of athletic organizations as a player, coach, and administrator; a member of student, church, or civic groups; or as an immediate or extended family member, the interactions of groups of people continues to be at the heart of my life. With job satisfaction and employee engagement scores at record lows, leadership is needed now more than ever. Employees in many fields report feeling belittled, undervalued, uninspired, disrespected and subservient. Managers and supervisors are described as distracted, immature, inexperienced, unkind and uncaring. Leadership is not easy. This is especially true in this age of technology where answers are expected in unrealistic time frames and many times without the data necessary to make a prudent decision. There are some calls you get right, and some you don't, in your role as a leader. Leadership is a complex subject and being able to boil it down as best as possible to practical, “hands-on” strategy is a difficult goal to achieve. I have found we all need to be coached, and organizations don’t normally spend the time or resources with experts who can help you hire the right people, develop quality leaders and keep your top talent. That’s why the Leadership Flight School, located here in State College, was all that was promised and then some. They believe that leadership can only be learned, not taught. So there must be hands on activities for learning to occur. The patriarch of Bartell & Bartell, LTD, is Dr. Rod Bartell. He is a pioneer in employee assessment and organizational diagnostics with more than 40 years of experience. Considered around the world as a thought leader in the field of “servant leadership,” Rod has spent a lifetime researching the movement that was popularized in the early 1970s by Robert K. Greenleaf. I met Rod years ago and have admired his work from afar, so the opportunity to spend time with him learning about this industry has been priceless. He is also a wicked good badminton player, and I am not talking the backyard family picnic variety. I recently read Rod's book, "Before the Call: The Communication Playbook." It is given to each participant at LFS and was a quick read and practical guide to better communications with others by taking into account their views and perspectives in an intentional way. The lead “flight instructors,” Bill Brashers and Shawn Ishler, have been with Rod for years and formed a dynamic duo that kept us engaged and thirsting for more information and real life stories they could share from around the world. Bill Brashers holds a Ph.D. in industrial/organizational psychology and is the “dean” of the Flight School. He is simply brilliant with organizational diagnostics and assessment tools and analytics. Bill is the self-proclaimed introvert on staff but his style of facilitating the sessions was vibrant and informative. Shawn Ishler is the staff extrovert and has been with Bartell & Bartell for 20 years. He is an amazing speaker and an expert in building high performing teams. He is an "edutainment" guru combining his practical hands-on approach with his skills as a professional magician. He was as inspirational as he was entertaining. Rod, Bill and Shawn all hold degrees from Penn State. Additional members of the B&B team include Tara Arnold, Monika Wiegers, Nikki Williams and Karen Spicer to name a few. Prior to attending the school each member of the class was given a very thorough online assessment. There were 13 members of my Flight School class. It was an ideal size for active engagement with the instructors and meaningful discussion amongst my classmates. Our class was a diverse mix of gender, age and experience, as well as public and private sector backgrounds from across the country. The learning sessions were outstanding and the participation from class members was open and honest. Like many conferences or training sessions that I've attended, the most underestimated value is the time between sessions interacting with classmates and talking one-on-one with the instructors. We could talk about real challenges and experiences in a confidential and meaningful way. Everything, to the smallest detail, was set up to make it a successful week. We also were divided into smaller “Delta teams” at times, and I was fortunate to have two great "co-pilots" who were all in. We were all willing to give honest feedback and to challenge each other, which made the experience even more worthwhile. My co-pilots were Tom, a CFO at a private prep school, and Chris, a financial analyst at a private company. Tom was a high-energy, bold, funny, and charismatic teammate while Chris was more introverted but incredibly insightful and really smart. The days consisted of a variety of practical role-playing exercises, with the opportunity to provide immediate feedback and to constructively critique each other’s solutions. It was a great way to become more comfortable both giving and receiving honest feedback in a timely manner, something many people avoid like the plague back in the real world. I firmly believe this is such a critical part of the success of any organization or team and yet in my experiences it is never given the priority it should be for sustainable success. Some of the material I had seen in other trainings but only in a cursory way. For four days we were able to drill down deeper into the skills and tools needed to improve leadership capabilities. My online assessment results were so spot on I wondered if they interviewed my wife and kids. It was scary how a three-hour test could pinpoint my mindset so accurately. Without giving away their trade secrets, I enjoyed learning their “MVP” program for communicating. As a coach I practiced visualization and encouraged players to do the same. At LFS we worked on a number of visioning exercises, which I found to be quite similar to what I already knew from my coaching days. The difference was that they taught us how to ask probing questions that allowed us to add depth to our insights and not to just skim the surface. We learned how to better understand an individual’s temperament type and personality traits to effectively influence positive outcomes. Through 40 years of research, the staff helps you to understand the reasons why some people work better with others and how to do it consistently. It helps you discover what values and characteristics will make you a "real leader" by putting others first. Real leadership is being able to get others to see and feel a vision and be committed to that mission, not just to complete a task with little buy-in because they were told to do so. Servant leadership is other-centered. It puts the feelings and insights of colleagues at the forefront of decision-making. To paraphrase retired Admiral James Stockdale, “Leaders become leaders by what they do for others, by what they give away.” We were challenged to go on a leadership quest of service. To be clear, servanthood is not servitude. You don't do others work for them. There were plenty of opportunities to ask questions either in person or in writing so that questions could be addressed immediately or in the morning at the "bring it to ground session". They challenged me to list the defining leadership moments in my life. It was refreshing. It was cathartic. And it was inspirational. It was a fun, informative, pragmatic week with good teammates and a new piece of leadership. I can only whet your appetite I can't give away the Flight School secrets. You will have to set up a meeting g to see if this training is for you. I strongly encourage you to consider signing up your staff or attending Leadership Flight School as an individual. I think it can help you and your “co-pilots” to soar as well. 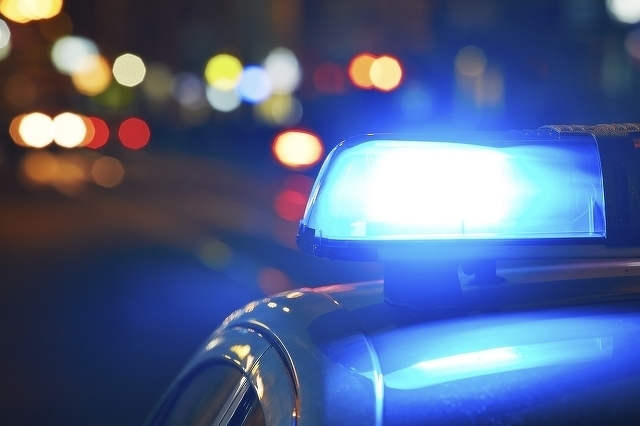 State College Police on Friday filed charges against a Milroy woman who allegedly claimed she was abducted before admitting she was not.